Pumps: They’re what we do! 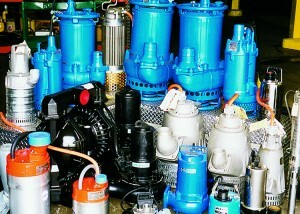 Lee Supply Company specializes in every aspect of pumps from selection to service. We’re a manufacturer-authorized pump service center with an experienced and factory-trained staff. We have an outstanding relationship with all our vendors which is passed on to our customers. We offer pump and pump system solutions for the mining, municipal, energy: oil and gas, industrial, and environmental industries. Lee Supply Company is proud to offer you the service of our experienced staff in pump sales, rental, service, repair, and preventative pump maintenance. Our factory-trained staff is also certified for confined-space entry. Our fully equipped service and repair facility provides a testing tank to allow us to certify the operating performance of new and repaired units. We are committed to immediate response for service requirements and offer a 24-hour emergency service to our clients. If you are looking for custom solutions, our pumps and pump systems are engineered to meet your specific requirements. This includes custom-built control panels capable of operating pumps from 110V to 600V A.C. and 300V D.C.
Lee Supply Company boasts an extensive inventory of pumps along with parts and accessories such as valves, meters, adapters, and more. 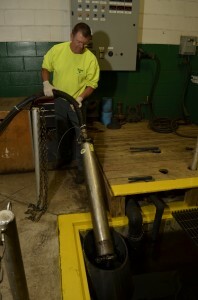 Preventative pump maintenance is vital to keep your pump and pump system running smoothly. We will schedule regular visits to test and monitor your system on site and provide an evaluation of individual components as well as an entire system check to insure proper operation. Lee Supply Company also specializes in sump, tank, and manhole fabrication. If you are looking for a pump or pump system solution, our dedicated and service oriented staff is here to help.